Hyundai debuted a new concept car at CES 2019 in Las Vegas that features convertible legs in addition to wheels, according to an article by InterestingEngineering.com. 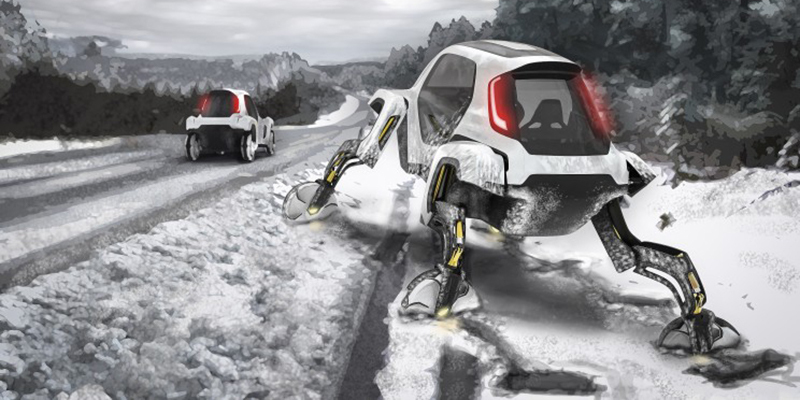 The automaker is calling this new vehicle concept “Elevate,” or the Ultimate Mobility Vehicle, and the idea is that its legs would allow the vehicle to go anywhere without roads including rough terrain or stairs. Although this design might not be ideal for your everyday commuter, the company suggests the concept could be customized and used for a variety of specialized operations such as for first responders in an emergency or better transportation for those who require more accessibility, according to the article. One advantage Hyundai proposed to this functionality is that if your car got stuck in a ditch, it could simply stand up and walk back to the road, according to the article.